We would love to share more with you about who we are. Find out more about our vision, our story, and our pastors. EVERYBODY NEEDS A PLACE along his spiritual journey where he can sense the presence of God and worship Him, where he can receive spiritual strength and guidance for the week ahead, where he can belong to a caring group of people who encourage him along the way. As Pastor, I along with my family, have been touched by the love of God and have found in Jesus Christ a joy and purpose in living. WHEREVER YOU ARE on your spiritual journey, it is our desire that you will experience this love of God by participating in our weekly celebration of life in Him. THERE IS A PLACE for you in this new fellowship. 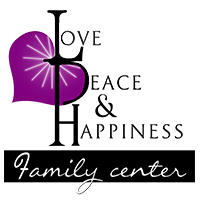 We look forward to the possibility of you becoming part of the Love, Peace and Happiness Family Church. We invite you to come and grow strong with us!